Many people who grew up during the Great Depression hoard food. Those who grew up during the 1994-2004 ban on modern firearm features hoard magazines. They also treat magazines as durable rather than disposable parts. With that in mind, Black Dog Machine is now making 26-round rimfire magazines with steel feed lips. As you can see, the stainless steel feed lips are quite massive and won’t wear out from use. These magazines are also much easier to load than the older, all-plastic model. I didn’t need a mag loader to fill them to capacity. 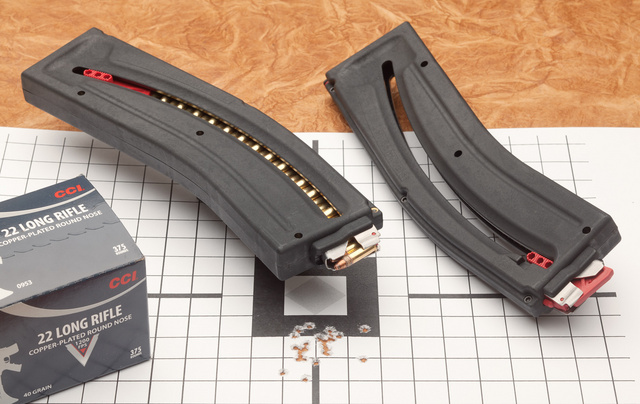 For range use, when the ease of loading trumps resistance to dust, they are now also making Gen.3 magazines with open sides. These hold 32 rounds and can be loaded in moments. This is a terrific illustration of the arbitrary nature of gun control laws…made worse only by the viciousness with which they are enforced. This entry was posted in ammunition, rifle, rkba and tagged 22LR, Black Dog Machine, magazine, rimfire. Bookmark the permalink. 8 Responses to Canned goods and ammunition. 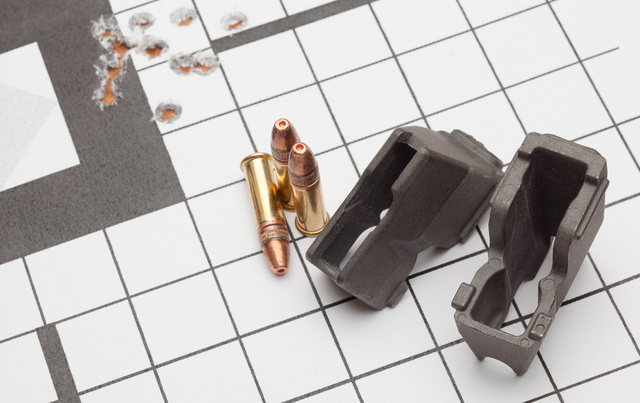 Ohio’s 31 round law is a bit more complicated–If I remember correctly, it isn’t an outright ban–rather, if the gun is centerfire, for the purposes of the law the gun becomes a machine gun, with the same restrictions on ownership, possession and registration. Rimfire magazines are exempted. The ORC defines any weapon, other than those chambered in 22 short, 22 long and 22 long rifle, that is capable of firing more than 31 rounds of ammunition without reloading as a machine gun. So actually it’s a limit to 30 round mags (30+1) but isn’t actually enforceable unless the magazine is connected to the weapon. Thus Ohio has no real limit on possession of any mag capacity, and if you have a lawfully owned MG you’re fine. I would point out that I cannot find a simgle case of anyone ever being charged under that particular provision. GRADE: fail. nothing i own will work with these magazines, even though they work fine with Gen 1. don’t know anything about Gen 2. Course, why they don’t work on my guns, but do on others… bizarre. Will have to call them (on this) later next week. In Illinois, Cook County (which contains Chicago, Franklin Park, Oak Park and Riverdale, but not Aurora) bans over 60 kinds of firearms plus all magazines over ten rounds in capacity. See http://isra.org/legislation/cook_county_awb.shtml . Not sure what happened on the first try. Sevesteen post has the correct link but the wrong understanding. The law as written defines firearms that can fire more than 31 rounds without reloading as “Automatic firearms”. It does exempt 22 rimfire semi automatics from the definition but not 17 rimfire guns. The law does not restrict magazine size, only that once past a point without reloading a semi auto becomes an automatic. You can own a magazine of any size under this law. Quote ORC2923.11.E; “Automatic firearm” means any firearm designed or specially adapted to fire a succession of cartridges with a single function of the trigger. “Automatic firearm” also means any semi-automatic firearm designed or specially adapted to fire more than thirty-one cartridges without reloading, other than a firearm chambering only .22 caliber short, long, or long-rifle cartridges. End Quote. As written ANY centerfire semi automatic firearm is an “Automatic firearm” that will in stock condition fire more than 31 rounds without reloading. You do not even need to OWN the magazine, it just has to be available and fit the firearm without modification. 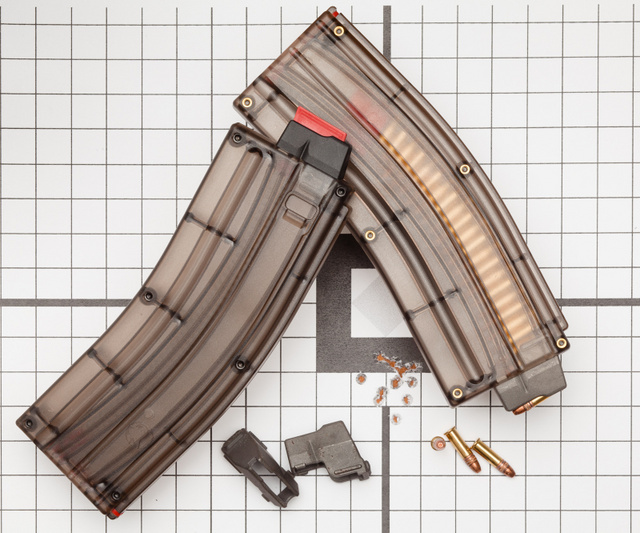 It could even be argued that the magazine doesn’t need to exist, just that the firearm could accept one and fire more than 31 rounds without modification if one did exist! It is a horribly written law but still on the books. Good to see that they’re doing this. I took a quick look and couldn’t find any in 10rd, though. Short of the Ceiner mag that came with the conversion, I haven’t yet found any steel options in 10rd, and it’d be nice to have a more durable option, given the number of rounds the rifle sees as an Appleseed loaner.